Bat usually live in caves, buildings, or on the trees. Choosing a proper habitat plays an important role in maintaining and adapting environments for bats. It is considered to reduce the chance to beaten by predictors, decrease the threat of extreme weather, keep the reaction in the society and so on. 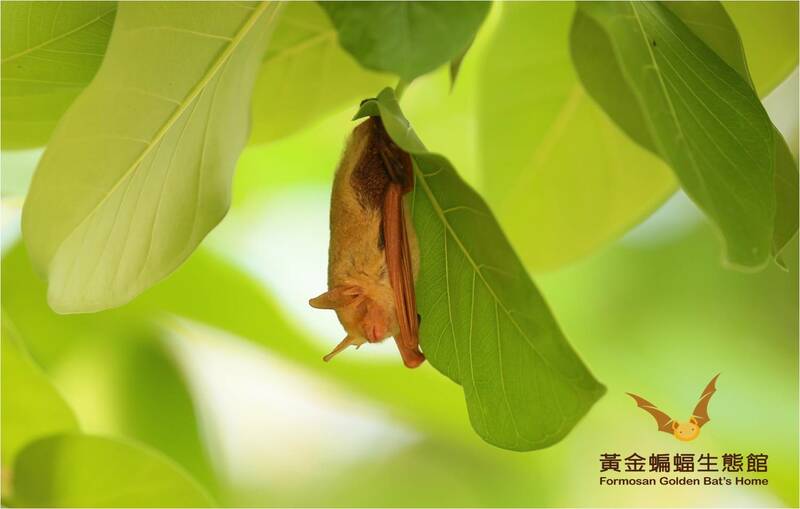 Golden bats appear in the forests and buildings to breeding in summer. In winter, they usually hibernate in the caves which is in elevation from 2,000 to 2,500 meters above sea level. During March and October, they are easily disturbed by human because their home is near where human live. What's worse, it can be anticipated that the bats would have hard time adapting the habitats and decrease their diversity because of improper development, destruction, and endless visitors. As a result, it is the first thing on our list to reduce the impact of human disturbance to the bats and their habitats. In summer, Golden bats have the need to generate and feed their babies. Therefore, they have to find a safe roost on the trees to conceive and take care of babies. 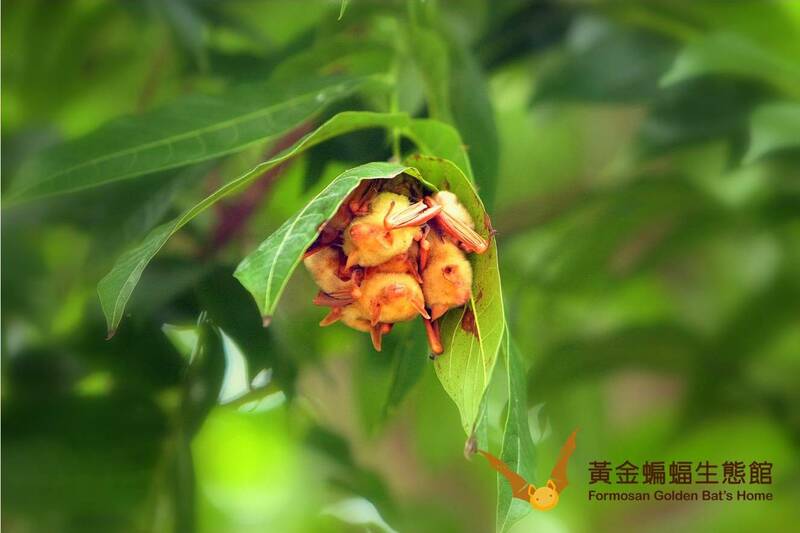 In Yunlin, Chiayi, and Tainan, Golden bats usually appear in the broad-leaved forest which is under 50 meters height above sea level. Most of the trees are in the schools or parks. There are more trees surrounded by big fields or water. At night, those places have less light pollution. The trees where they lives are usually big. It is probably because living in the tall tree is safer. They can reduce the risk of eaten by the predators from the ground. Taller tree also makes the bats to locate easily and save energy from fly for a long time. We have found them on about 60 species of trees, and most of the trees are broad-leaved trees, such as Hibiscus, Banyan trees, Pongamia, magnolia denudate, Indian almonds, teaks, longan trees and so on. Those Golden bats on the roof beam in the Hsu's house in Yunlin Shuilin are the nursing colony representative of the golden bats in the world. According to the owner, golden bats moved in the house when the house was finished for a year (1935). Furthermore, they came every year ever after. Just like summer migratory birds, many of them come before Tomb Sweeping Day, and then they give birth to their babies. Most of them disappear during White Dew. After moon festival, few of them are still there. The latest would leave in October. When the number of them come to the maximum, they can occupy the whole roof beam. By that time, there were thousands of them, highly possible 1000 to 4000 bats. The Hsu family play an important role in the political circle in Yunlin. The fate of Hsu family is commonly considered to have something to do with Golden bats. That is because the bats are the symbolic of luck and fortune. The more they come to Hsu's house, the luckier Hsu's family would be. When the number of the bats came to the top, it was also the time that the Hsu's family the most successful time in the political circle in Yunlin. However, the number of bats have dramatically decreased in recent two decades. There are only thirty left now. The owner of the Hsu’s house have clearly rejected all of the tourists and media to visit them. Apart from the Hsu's house, we also find the bats' traces. Nevertheless, most of them are appear alone. The nursing colony in the Hsu's house is very rare. Because of the decrease of the sources of food like insects, the bats would like to hibernate in a stable and low-temperature cave. By doing so, they can reduce the speed of blood flowing, heartbeats, and breaths to decrease energy consumption of metabolism. Golden bats is a kind of insectivorous bat that would migrate. In summer, they produce and take care of their babies in the plains. Then, they disappear. In fall, we can find them in the mountains. In winter, we only can find the caves that they hibernate in the caves which is in elevation from 2,000 to 2,500 meters above sea level. The earliest time they enter the caves is October. They would hang up-side-down on the top of the caves. Usually, they really enter the period of hibernation during the middle of December to the middle of February. Except the time we just mention, they dormant in different levels. They would wake up for a short time and move. The latest bats would leave the caves in April. If the temperature is low enough and the air is watery, there would be some frost on their bodies. As the caves become warmer, the frost on their bodies would melt. The bats would even wake up. Golden bats which is hibernating has messy hair because the froston its body is melted.